I’ve been to Clawdaddy’s a couple of times since it’s just a few steps away from where I work. We usually go there when our bosses are in a good mood and they start treating every body for lunch (or when they’re gullible enough to give in to our pleas for free food). Clawdady’s especially, have been one of our go-to restaurants for lunch outs because of their generous servings of good foodstuff. 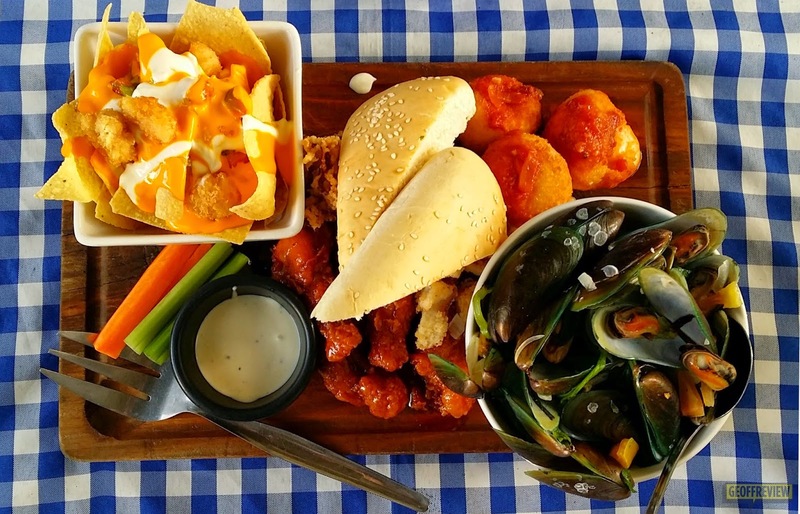 A sampler of Garlicky Mussels, Crispy Calamari, Mozzarella Balls, Buffalo Wings and Barbeque Nachos. This should be enough to give you an idea of what to expect. My personal favorite among the lot was the buffalo wings, while my foodie buddy gobbled-up the mussels. Lollo rosso lettuce, red cabbage, Vannamei Shrimp Popcorn, water chestnuts and citrus fruit salad dressed with a light Asian plum dressing. Beautiful, crispy, and tasty and the same time! Now this is my favorite part! An assortment of seafood and vegetables are patiently boiled together until the flavor seeps out and mixes with the broth. The process is usually done by boiling the ingredients inside a net, but Clawdaddy’s takes it to the next level by using a bag instead, so the aroma of the food rushes out all together as you open it up. 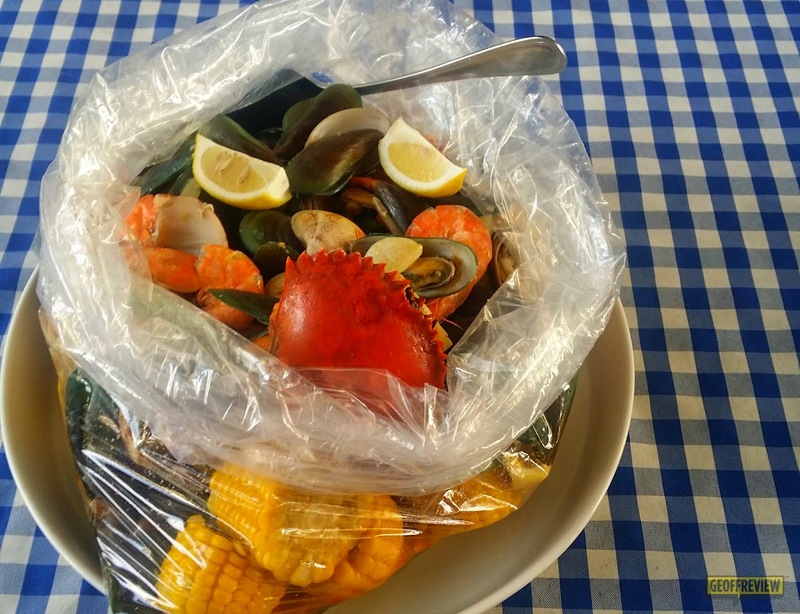 The one that we had, the Seafood Boil, was a mix of Mud crabs, fresh water prawns, white shell clams, green shell mussels, Manila clams, and South Pacific mussels flavored with Andouille sausage, potatoes and sweet corn. There are other options like the All Shrimp Boil (Php 1,095.00) and the Shellfish Boil (Php 995.00), and you can choose among a selection of flavours such as Seafood Boil, Clawdaddy Mix, Garlic Butter, and Creole Cajun. You also have the option to make it Mild or Spicy. Apparently, it’s not all seafood at Clawdaddy’s. You can also relish their signature grilled pork and chicken dishes. 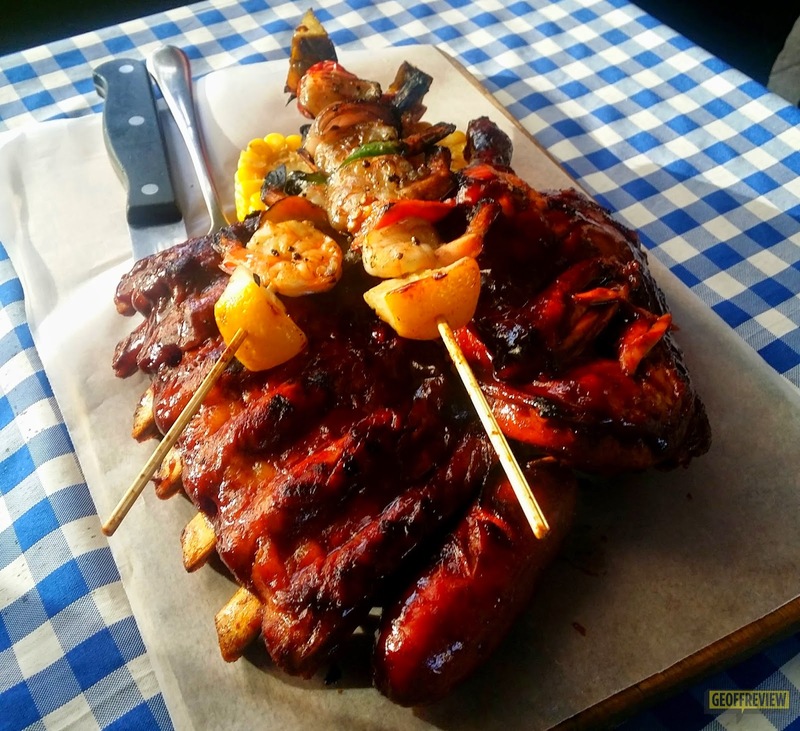 We had a taste of the Barbecue Sampler, which is a combination of Baby Back Ribs, Hickory Smoked Chicken, Shrimps on the Barbie, and Smoked Sausage served with grilled corn on the cobb and dirty rice. It would seem that this was supposed to be served with Potato Salad, but we were served with Dirty Rice instead (they probably felt that I’m a sucker for rice). The sweetness and tenderness of both pork and chicken samples were just right for a meat-lover like me. All the meats were smothered with their specialty sauces, marinated overnight, and finally oven-cooked to perfection for 2 hours. The dishes at Clawdaddy’s are already at a decent price given that most of them can be shared, but the treat doesn’t end there! Clawdaddy’s is a member of a unique social marketing platform called Taggo. All diners who eat in a Taggo restaurant member (like Clawdaddy’s), are entitled to a 10% discount (or any special offer provided by the members/merchants) when they use their Master Card credit card to pay their total bill. 1. Like the restaurant’s Fan Club and register their mobile number. 3. A check-in will be posted on the customer’s Facebook wall. And voila! You get your discount or freebie! Easy Peasy. You can know more about Taggo here and here. No wonder I often see a lot of friends and families dining in together at Clawdaddy’s. Good food, lotsa servings, all at a reasonable “for-sharing” price. It’s a good recipe, if you ask me!